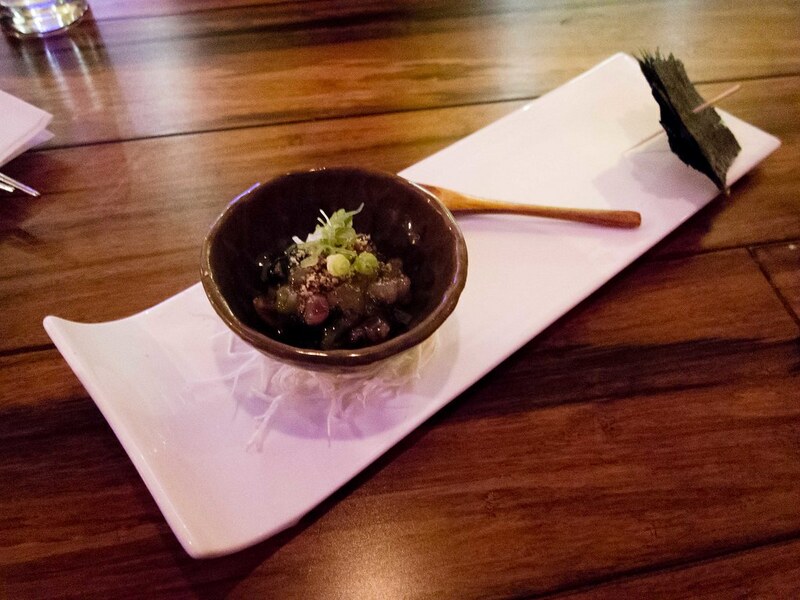 A handful of new Japanese restaurants have opened in the Yonge and Finch area during the last year. My goal for this year is to try each one with high hopes of finding a new neighbourhood gem. 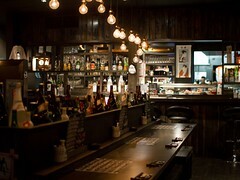 Yuzu Izakaya, located on Yonge just south of Finch, was first on my hit list. Atmosphere: The restaurant was easy to find with their lemon logo covering a front window and easy to spot from the street. Walking into the space, a large sign with daily specials greeted us before the hostess showed us to a table. The interior is dimly light with wood paneled walls. 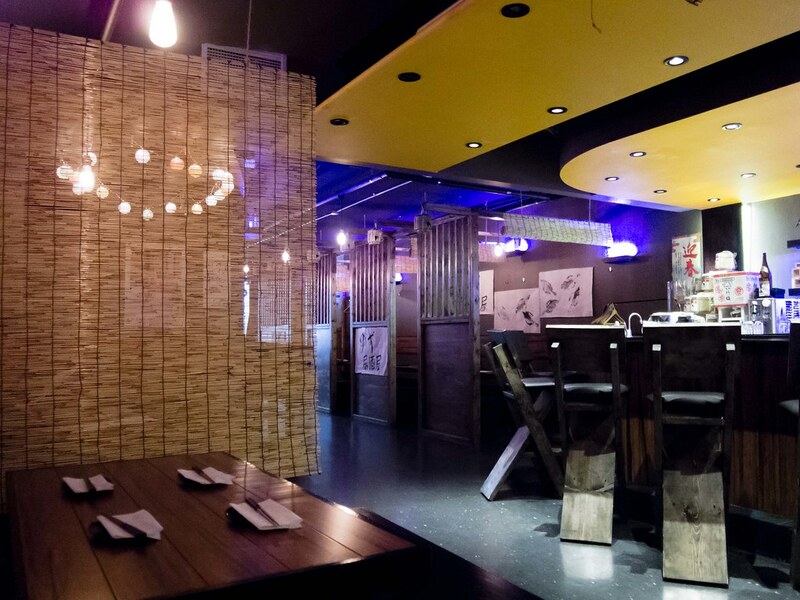 I liked how bamboo blinds were set up between each table to offer privacy and could be rolled up to accommodate larger parties. 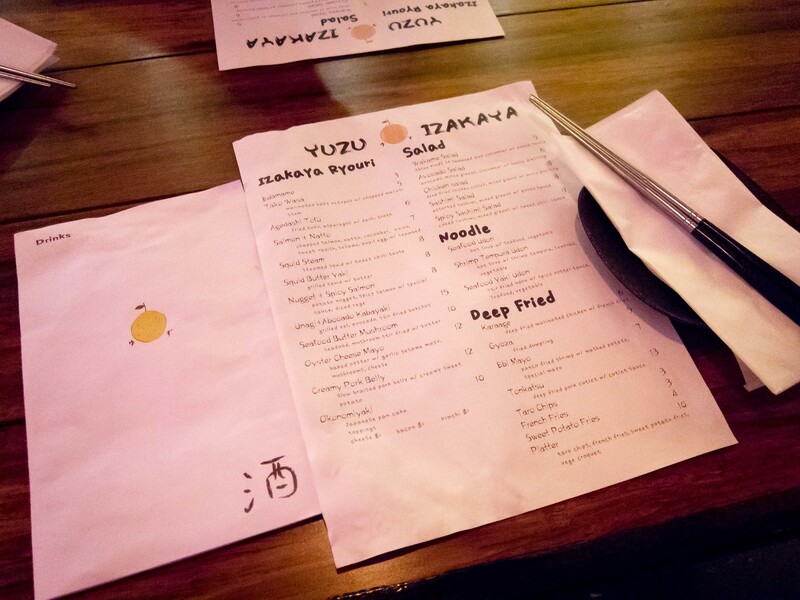 Yuzu is definitely aiming for a more boisterous, bar, izakaya feel. Hip hop music played the entire time we were there and they have a nice sake selection. On the night we visited though, it was pretty quiet and low-key. Service: Service was fine, friendly but not the most attentive. It wasn’t hard to flag down our server when we needed something, but we didn’t really see her except to drop off dishes. 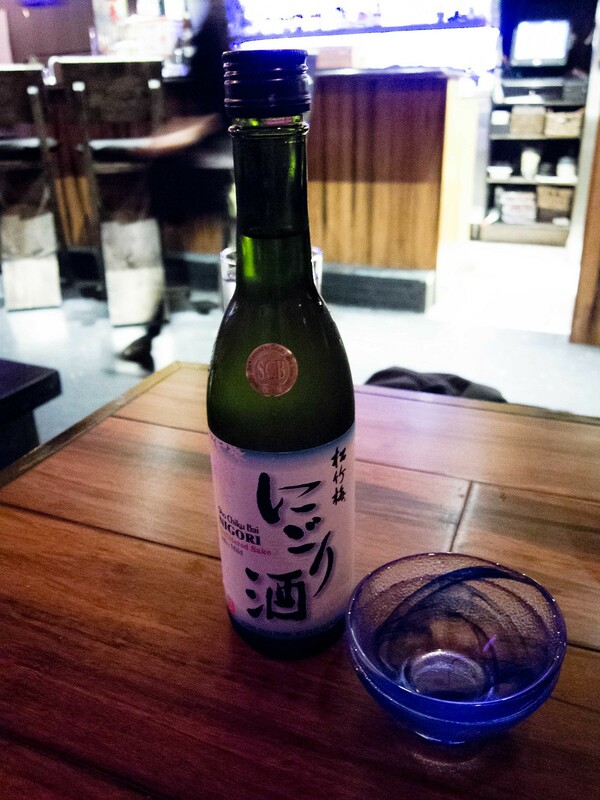 Our bottle of sake was dropped off unopened. Only after I had poured a glass did we realize it needed to be shaken. Each dish arrived quickly, presented on pretty plates. 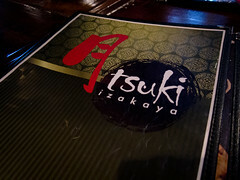 Food: Five dishes, an appetizer and bottle of sake brought our bill to just over $90 after tax and tip. 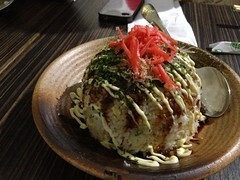 Overall, not an expensive meal but a few of the dishes are priced $1 higher than other izakayas, like the $5 tako wasabi. I liked the plentiful seaweed squares that was served with the octopus, it could’ve had more wasabi. 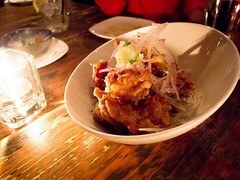 We also ordered a sashimi salad, creamy pork belly, chicken karaage, nugget and spicy salmon, and grilled yellowtail. 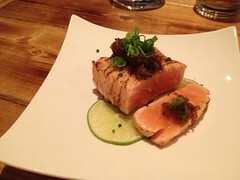 My favourite dish of the night was the nugget and spicy salmon. They were big mouthfuls but delicious. 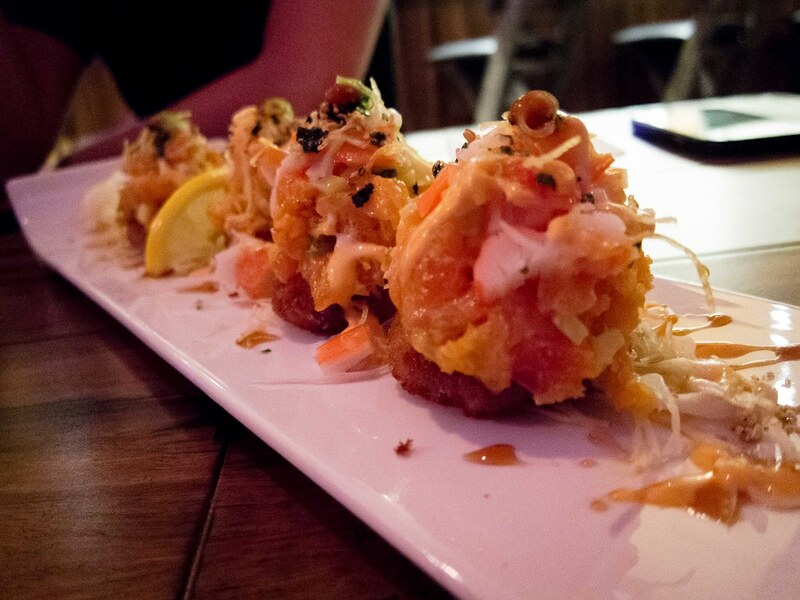 Just the right amount of spicy, mayo and salmon all served on a deep fried potato croquette. I really hope this becomes a permanent menu item. 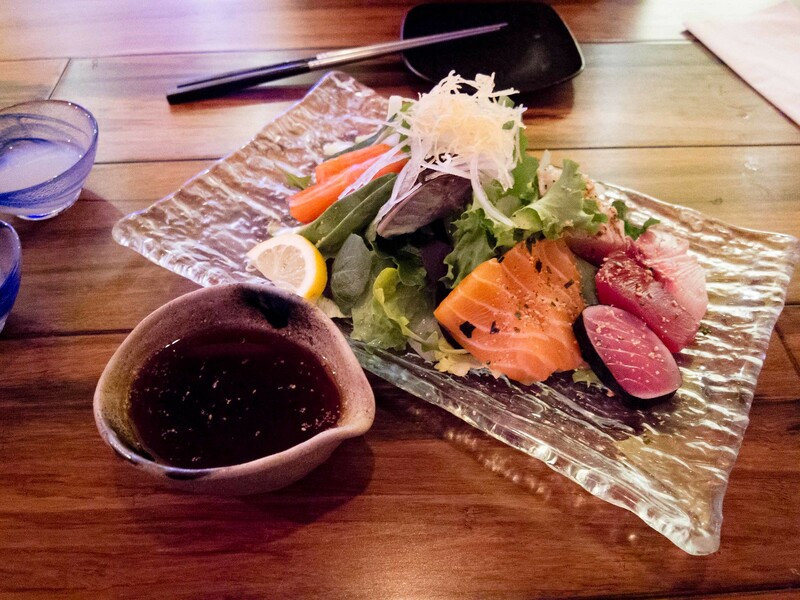 The sashimi salad came with the dressing on the side and was ok. The BF really liked the dressing and I thought the sashimi pieces were very fresh. The creamy pork belly was interesting. On one hand, I really enjoyed the pork belly, it was soft like butter and braised full of flavour. On the other hand, it was served on a creamy sweet potato mash that I didn’t love. 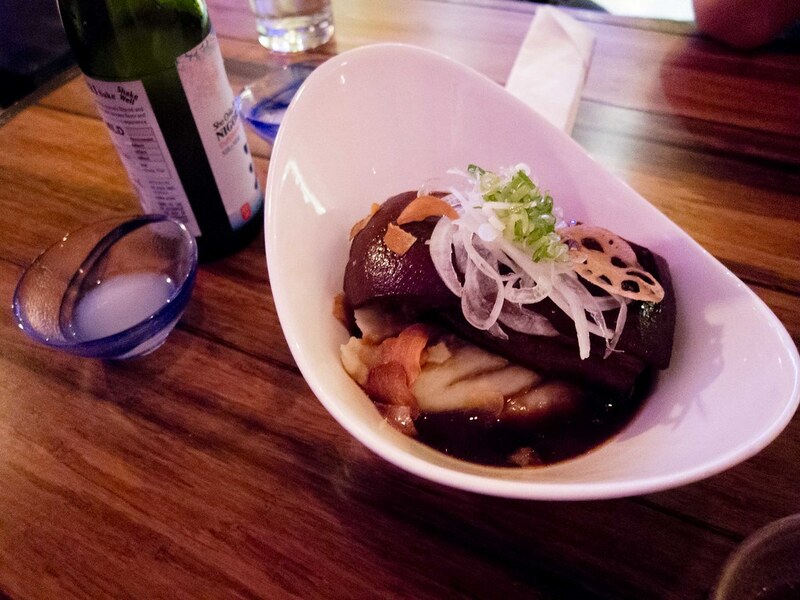 The sweetness of the yam really conflicted with the richness of the pork and I thought the two clashed. The texture was also overwhelmingly creamy, the yam was over pureed and reminded me of baby food. 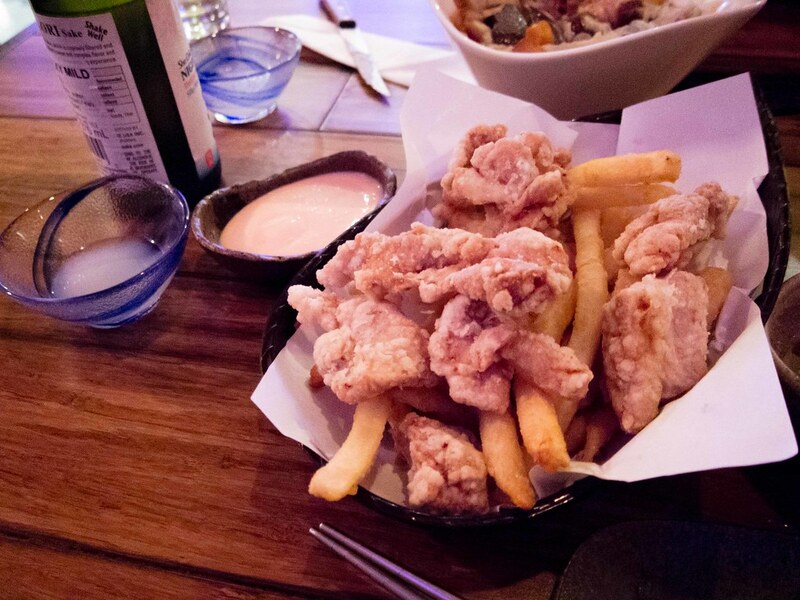 The chicken karaage was also disappointing, not crispy and lukewarm. The Costco fries and mayo were great. 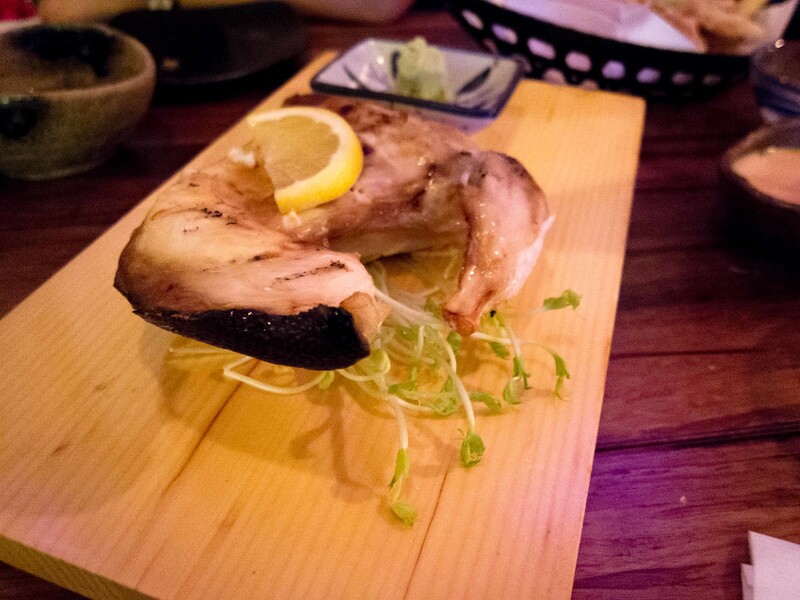 When the yellowtail arrived I was worried because it smelled fishy. Luckily, the smell didn’t translate to the taste. The fish was a touch overcooked and I would’ve liked it rarer but it was ok. I was also confused as to why it was served with wasabi and soy sauce. A sweeter, tangy sauce would’ve paired better. I actually dipped my pieces in the leftover dressing from the sashimi salad. Yuzu still feels very new and is missing a bit of polish. 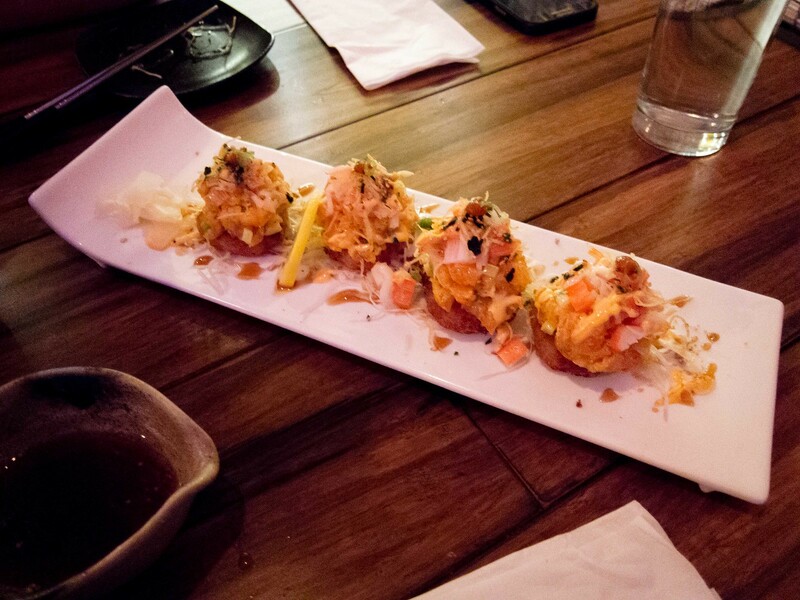 If all of their dishes were like the nugget and spicy salmon, I’d be back in a heartbeat. As is, I’m on the fence.